With the belief that beauty shouldn’t have to compromise performance, aluminium Bifold Doors from WarmCore incorporate innovative thermal performance, with stylish design. Like all Bi Folding Doors, they are guaranteed to be visually stunning and become a centre piece of any home. The outstanding looks of this product conceals a premium quality, unique thermal core that has produced the most thermally efficient folding sliding door in its class. This market leading performance it due to a multi chambered insulated core, that out performs other traditional aluminium doors by 25%. When it comes to the security of folding patio doors, you may be concerned due to their beautiful large glass panels. However, the redefining, custom design of WarmCore Doors ensures optimum security. With WarmCore, a variety of different style options means that you are able to create your perfect folding doors. With as many as 7 opening sashes styles being available, all with different configurations, and a total of 4 different colours to choose from, you will be spoilt for choice. The prices displayed are for installation into a virgin reveal only. Unfortunately we are unable to prove or undertake building work. The maximum height of WarmCore Bifold Doors is 2400mm, with each leaf with having a maximum width of 1000mm and the total maximum width of the door being 6000mm. If you want your new Bifold doors to be premium quality and incredible energy efficient, whilst also being sleek and stylish, then you need WarmCore Bi-fold Doors in Pure White. Not only will these traditional coloured sliding patio doors look amazing in any home, they will also flood your property with natural light. With up to up seven leafs to choose from, all with different configuration options you are bound to find the perfect folding doors. The pieces displayed are for installation into a virgin reveal only. Unfortunately we are able to prove or undertake building work. The maximum height of WarmCore Bi-fold Doors is 2400mm, with each leaf with having a maximum width of 1000mm and the total maximum width of the door being 6000mm. If you want your new Bifold doors to be bold and incredible stylish, then you need WarmCore Bi-fold Doors in Jet Black. 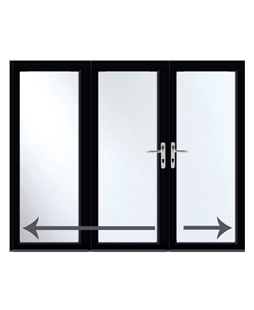 Their innovative design allows these doors to be operated with minimal effort and ensures that your property stays warm and secure, whilst looking great. In other words they create a center piece to your home that you can be proud of. With up to up seven leafs to choose from, all with different configuration options you are bound to find the folding doors for you. If you want your new Bifold doors to add a traditional twist to a modern design then you need WarmCore Bi-fold Doors in Heritage Cream! 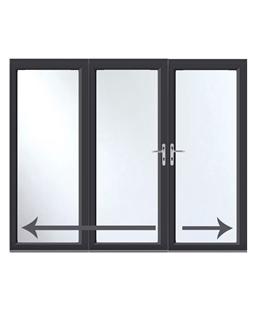 These aluminium Bifold Doors are not only incredibly thermally efficient and secure, they are also practical and allow your inside and outside space to work as one. 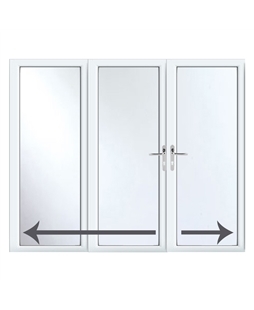 With up to up seven leafs to choose from, all with different configuration options you are bound to find the perfect sliding door for you. If you want your Bifold Doors to stand out from the crowd, to be stylish and to look ultra-modern, then you need a WarmCore Bi-fold Doors in Anthracite Grey! These folding doors are bound to turn your neighbour’s heads with their high quality finish and their sleek, architectural look. In other words they will be a center piece to be proud of. 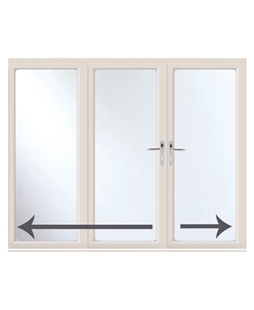 With up to up seven leafs to choose from, all with different configuration options you are bound to find your perfect sliding door.